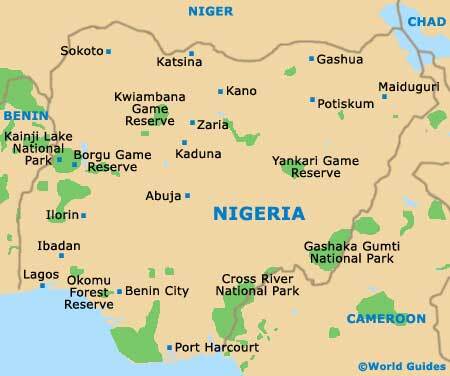 Fronting the Atlantic Ocean / Gulf of Guinea, the spectacular sandy coastline of Nigeria stretches for more than 700 km / 435 miles and is home to both the Slave Coast and the Niger Delta. While the country may not be known as a destination for beach holidays and its waters can be somewhat polluted, some of Nigeria's best coastal offerings have become major tourist destinations. Others are fairly remote, while most lack amenities and accommodation. Water sports are rather limited, with the ocean often being too cloudy to make scuba diving possible. Nigeria may well have lots of beautiful tropical beaches, but most will agree that Calabar Beach beats them all when it comes to getting away from it. Cut off from the mainland by swampland and accessible only by canoe or boat, this beach tends to remain relatively unspoiled. For those visitors who make the effort to reach Calabar Beach, it's the ultimate place to enjoy a relaxing picnic well off the beaten path. 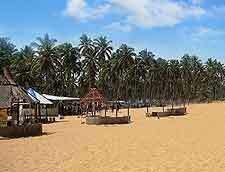 Located on the westerly side of Lagos and in the town of Badagry is Coconut Beach, one of Nigeria's finest. This popular beachfront is surrounded by coconut plantations, meaning that there are plenty of cool places to relax in the shade when the sun is at its hottest. Other good choices in Nigeria include the modern resort of Akodo Beach at Lagos, where amusement parks, good swimming opportunities and seaside chalets are amongst the main draws. 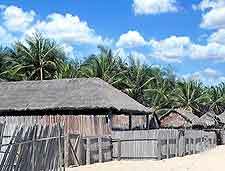 Nearby Kaiyetoro-Eleko Beach is especially beautiful and comes with its own coconut grove, a long coastal road and good beach-combing. Located on Victoria Island, Bar Beach is another reliable Nigerian option, with good visitor facilities and a cooling Atlantic breeze. More remote is the southerly beachfront of Takwa Bay, which is frequently referred to as Lighthouse Beach and can only be reached by sailing across from Lagos harbour. 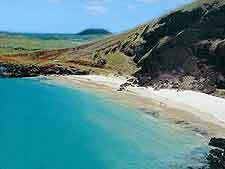 Takwa Bay has become known for its plentiful water sports, such as swimming, water skiing and surfing. 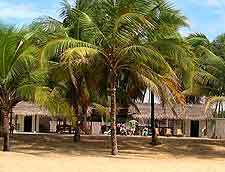 Lying alongside Kuramo Lake, Kuramo Beach has developed a good tourist infrastructure, with live entertainment and a choice of eateries and bars overlooking the beachfront. Also popular in Nigeria is Lekki Beach, frequently referred to as Maiyegun Beach and situated next to the Lekki Peninsula. Lekki offers summer concerts, tents, sunchairs and adjacent parking.